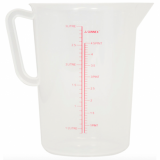 Plastic measuring jug 3000ml with handle. Made from polypropylene graduated with pouring spout. Diameter of top (rim outer): 160mm. Diameter of body (Outside Diameter): 143mm. 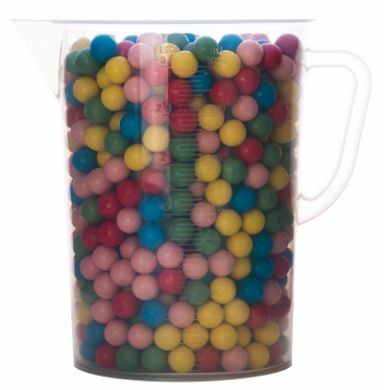 Graduations: 500ml, 1000ml, 1500ml, 2000ml, 2500ml, 3000ml.